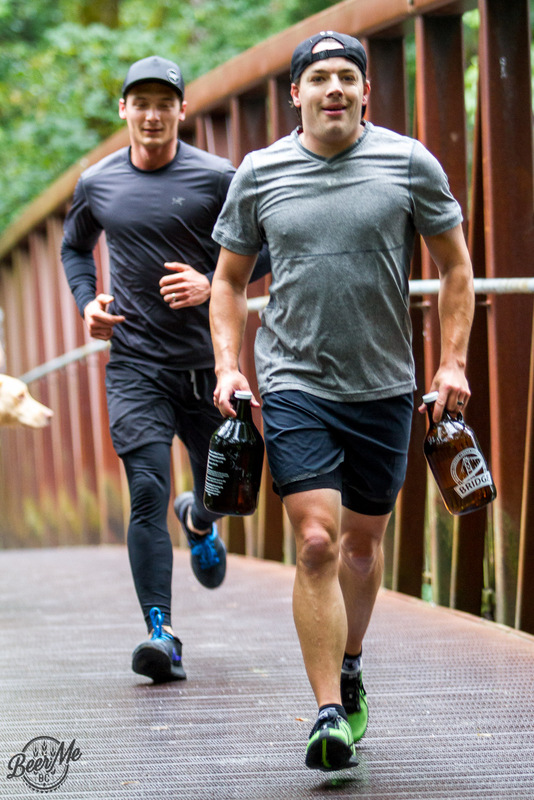 It never fails. 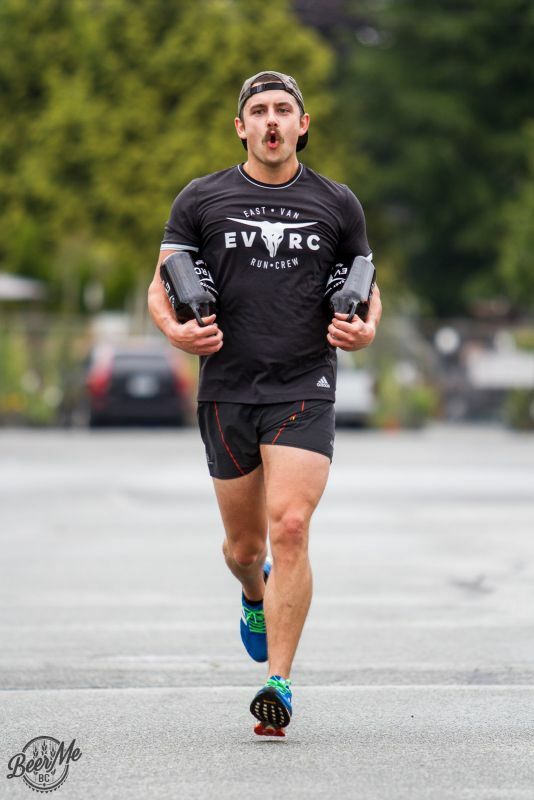 If you challenge people to do something ridiculous there will almost always be someone that is willing to step up to the plate and take on the challenge. 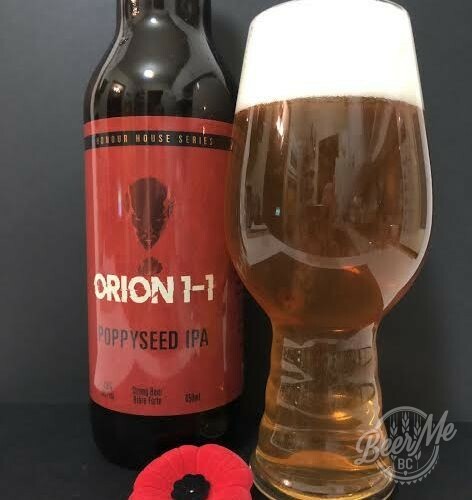 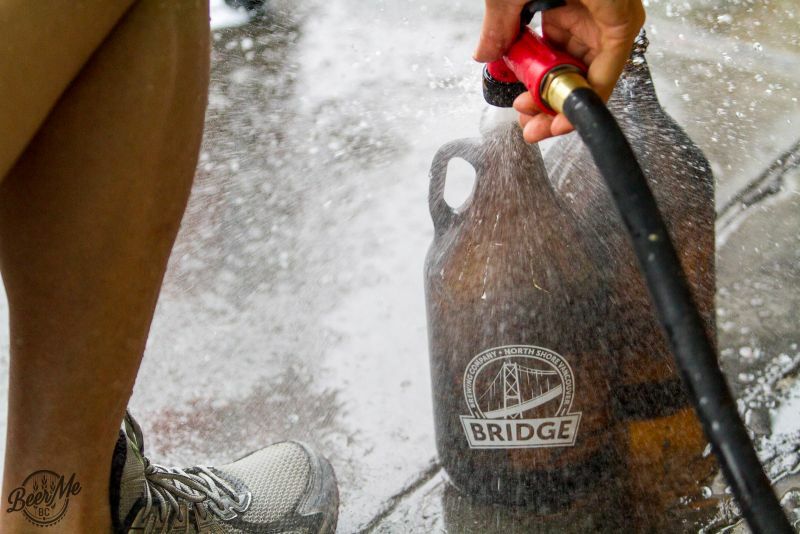 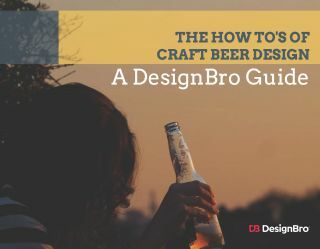 For the fourth year running Bridge Brewing has done just that with their Growler Run. 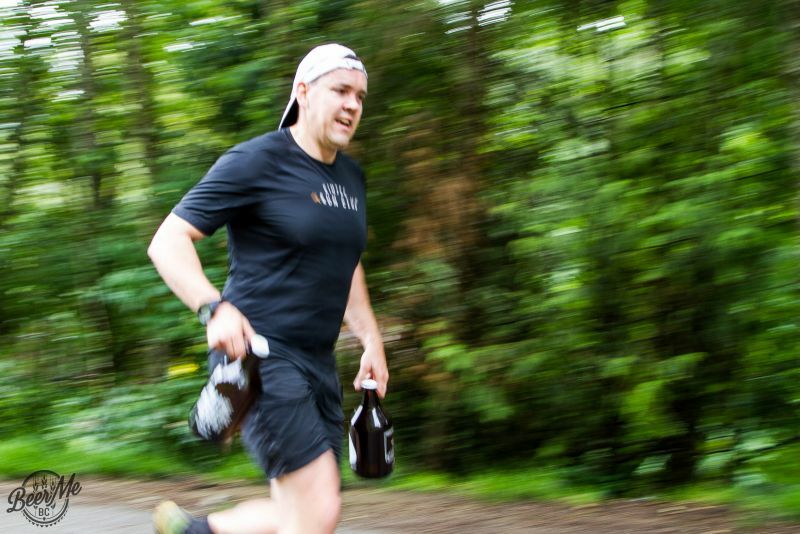 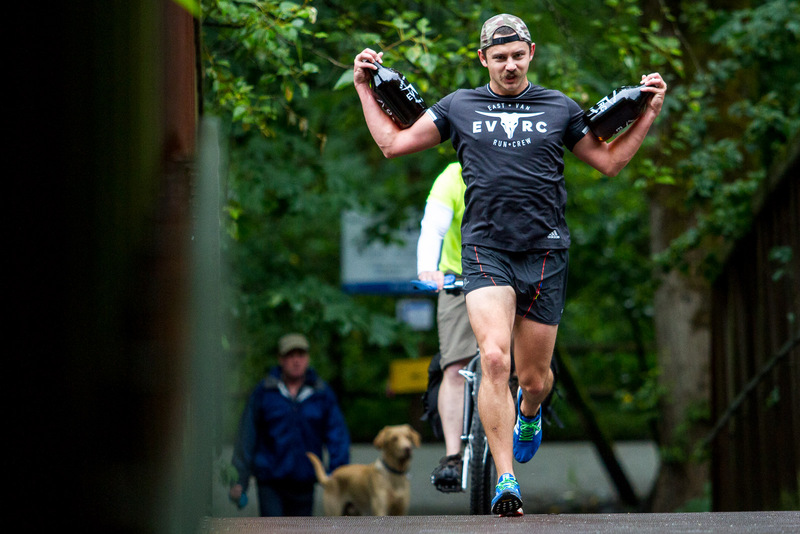 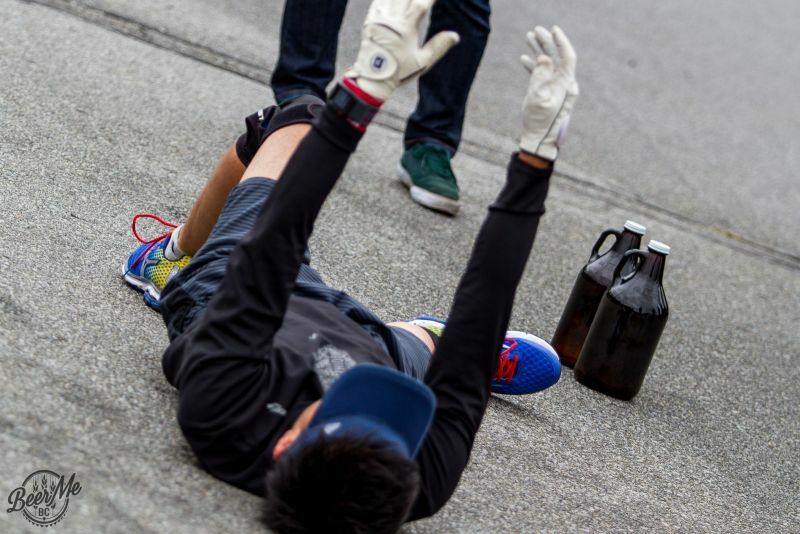 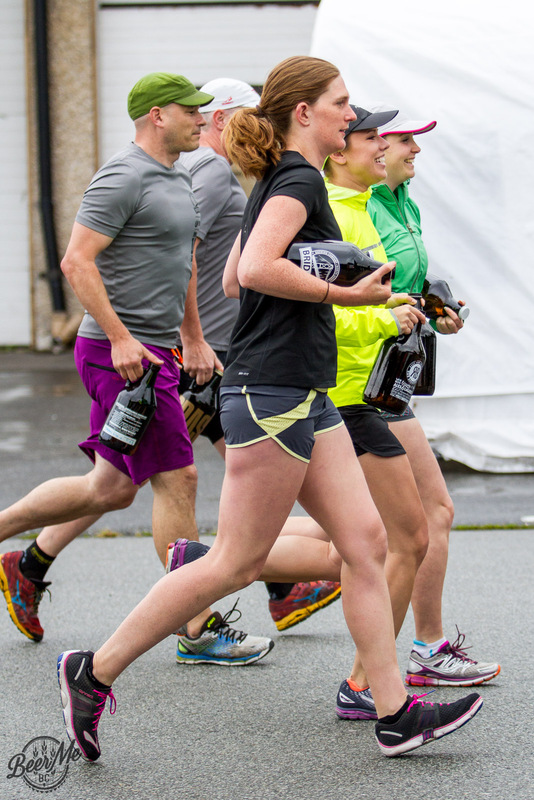 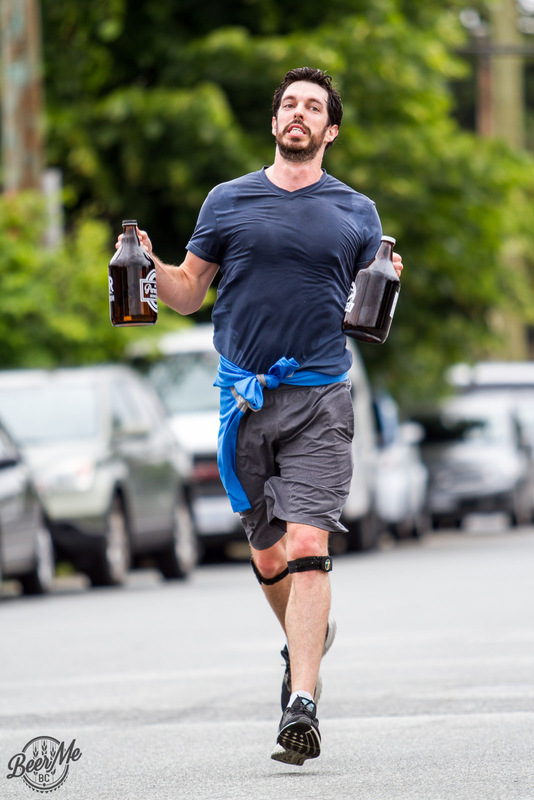 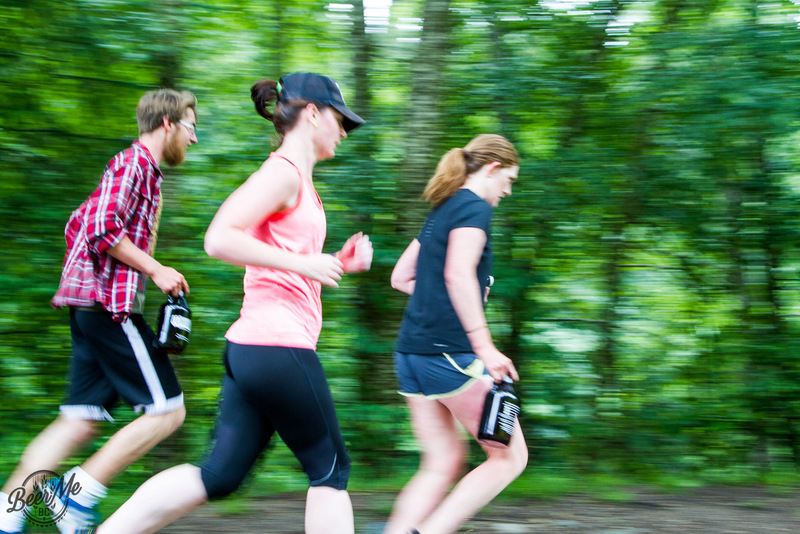 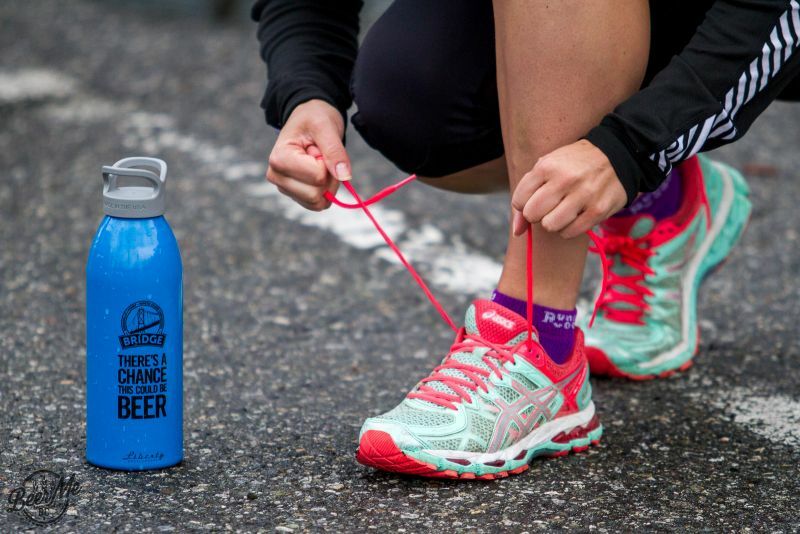 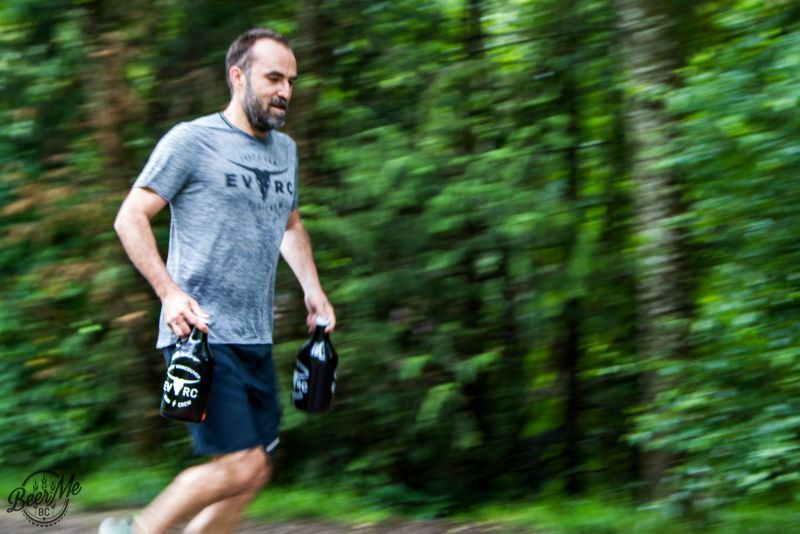 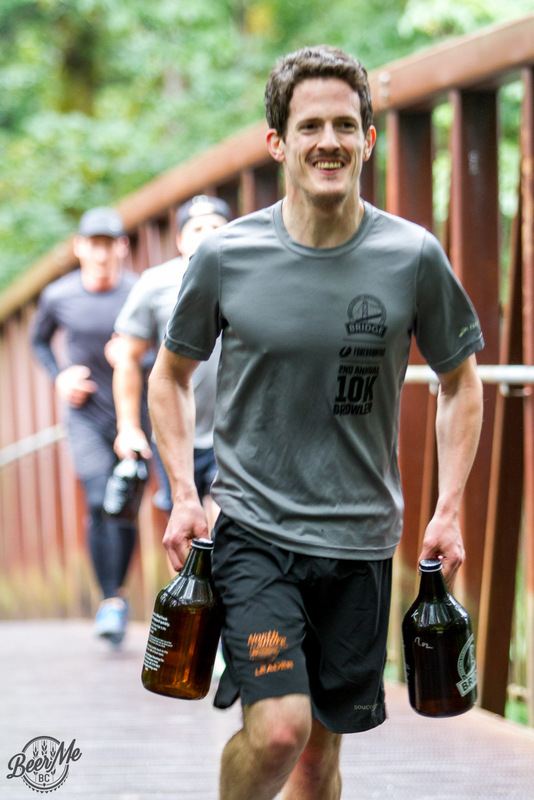 The annual 10km foot race challenges participants to carry two 1.89L growlers filled with water from start to finish. While it isn’t mandatory to participate it is a badge of honour that does not easily dissappear. 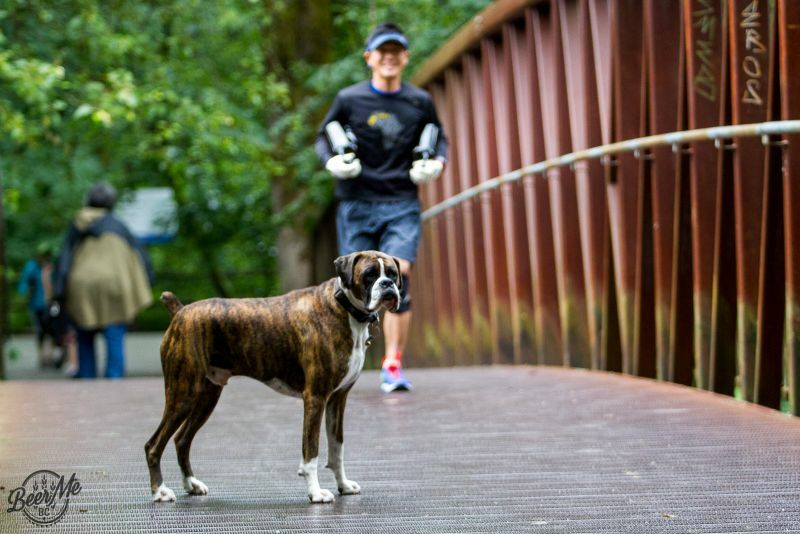 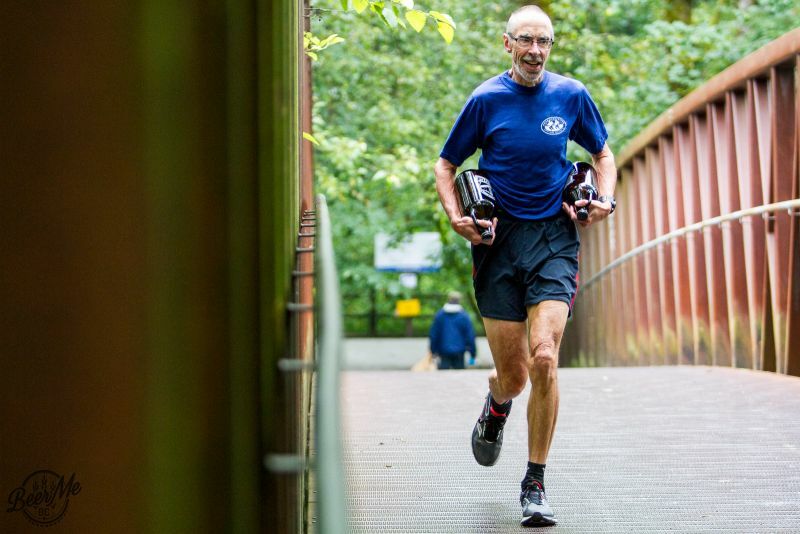 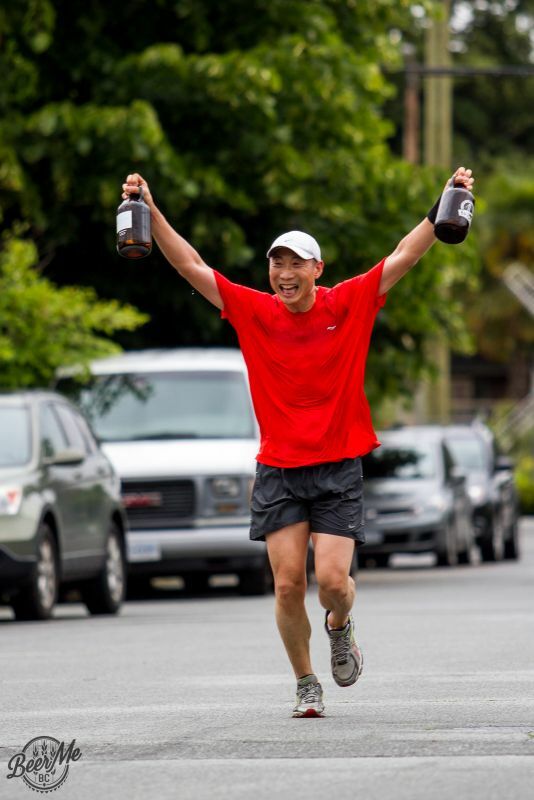 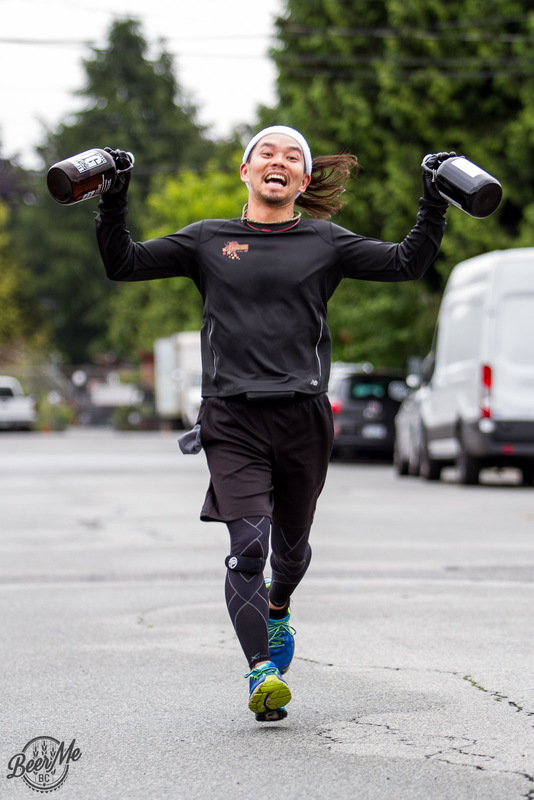 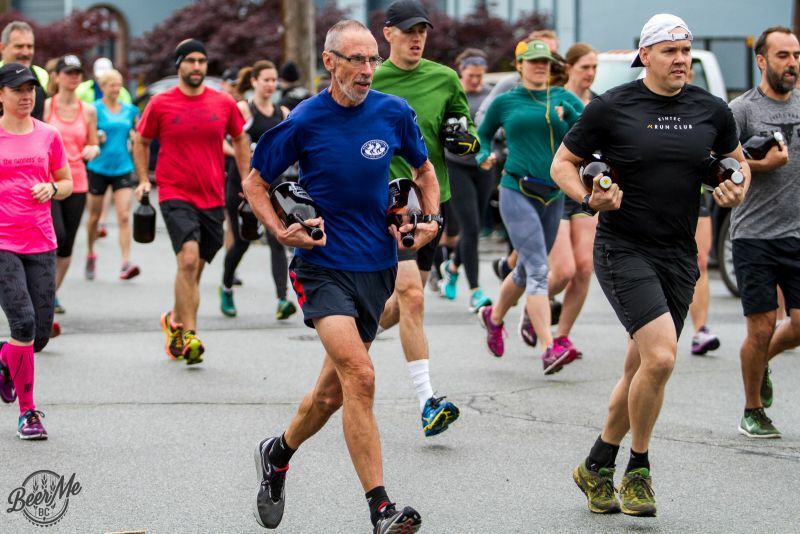 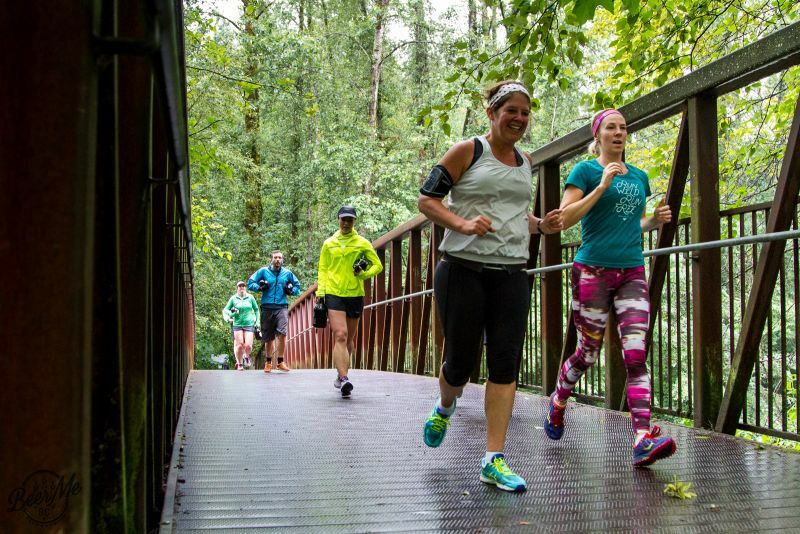 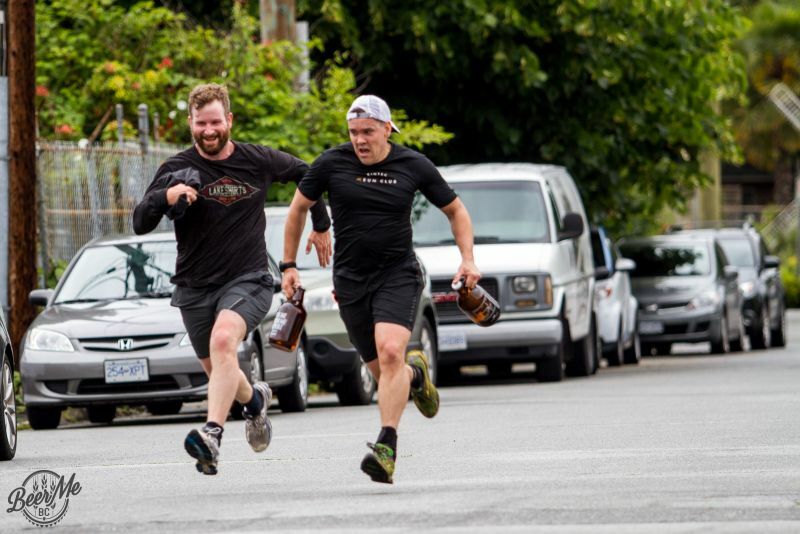 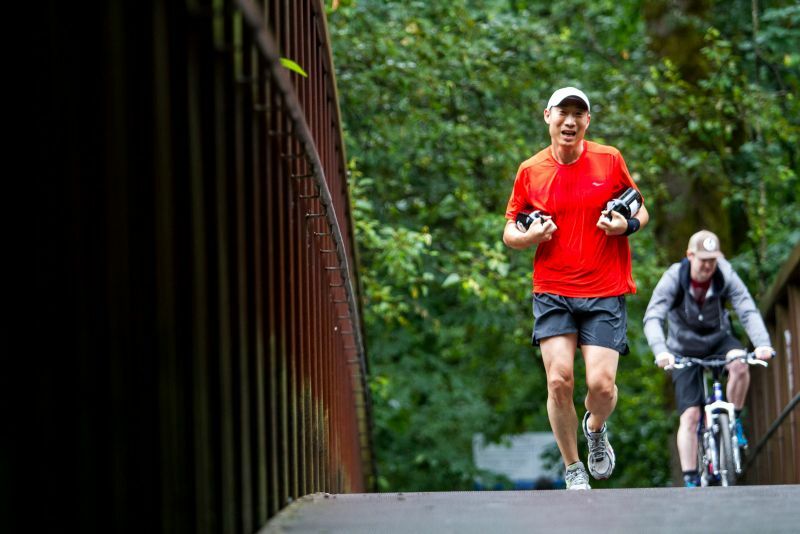 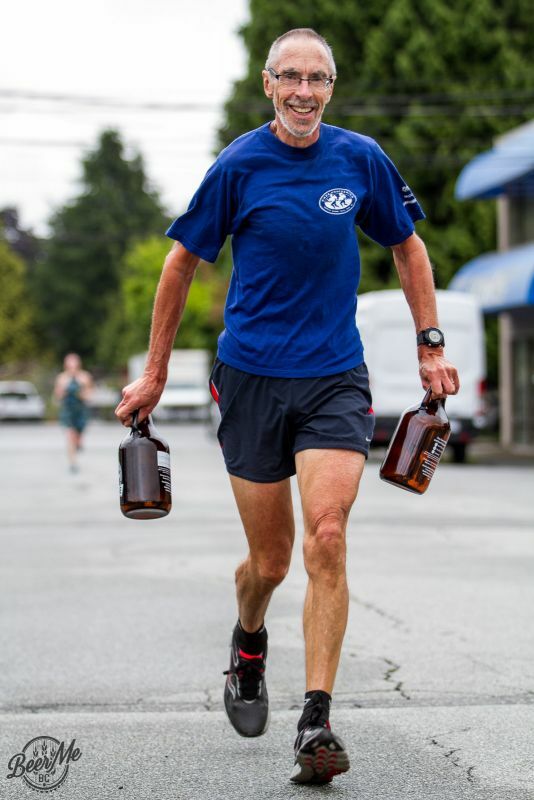 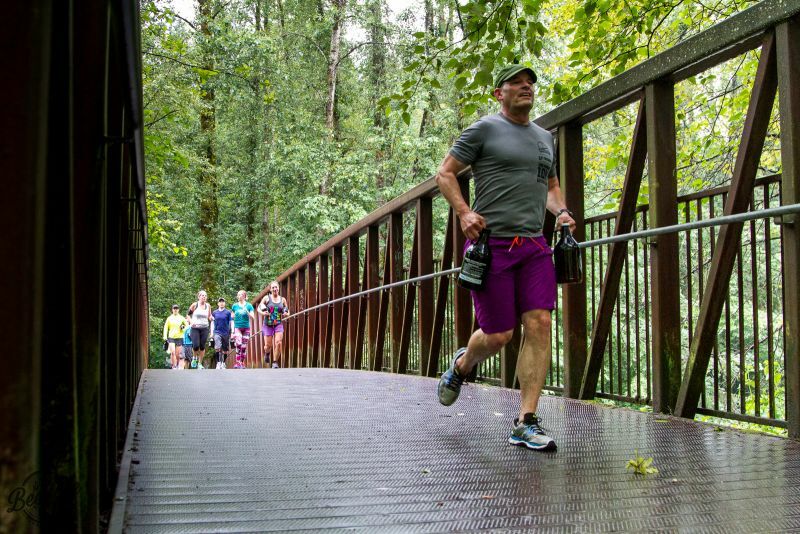 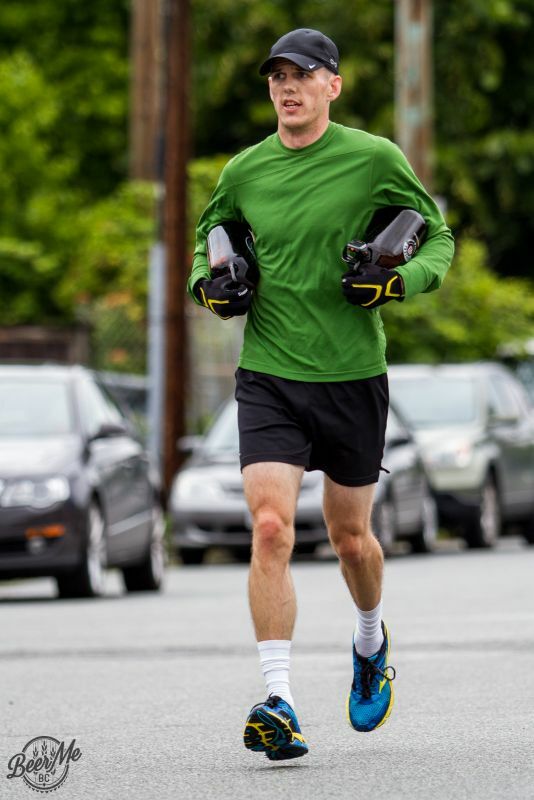 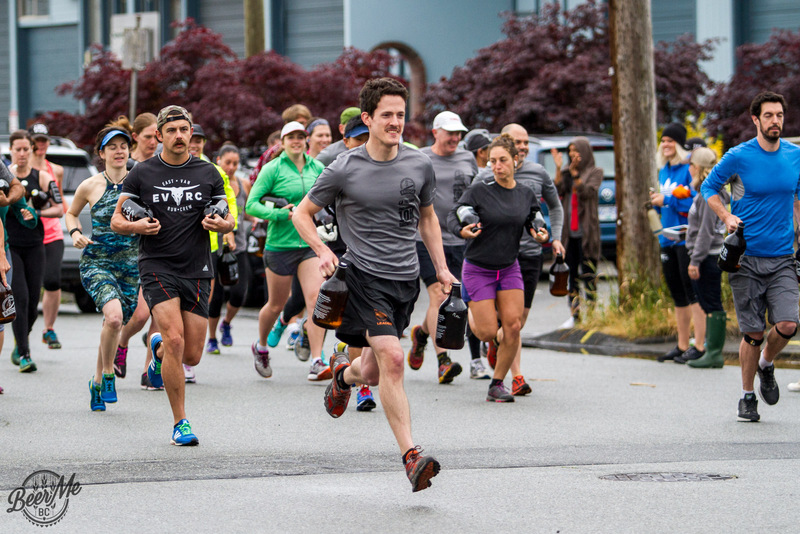 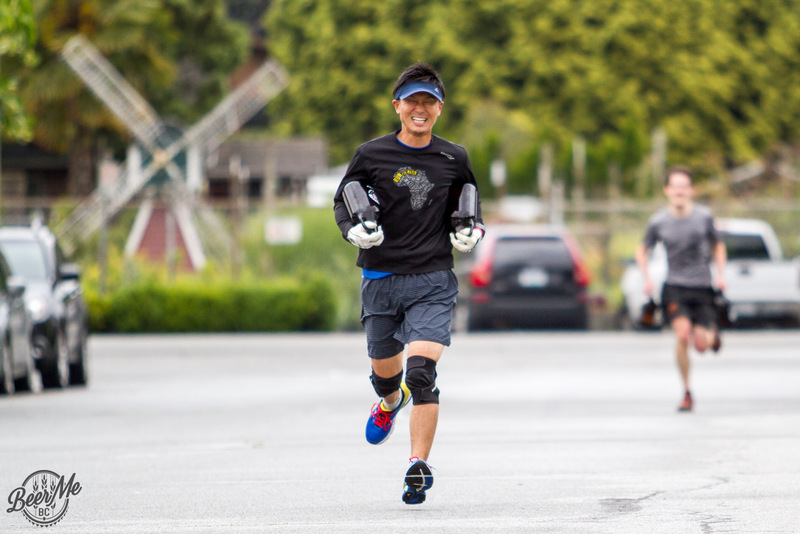 For the 2016 Bridge Brewing Growler Run 70 participants gathered in North Vancouver on Father’s Day morning to challenge running convention and common sense. 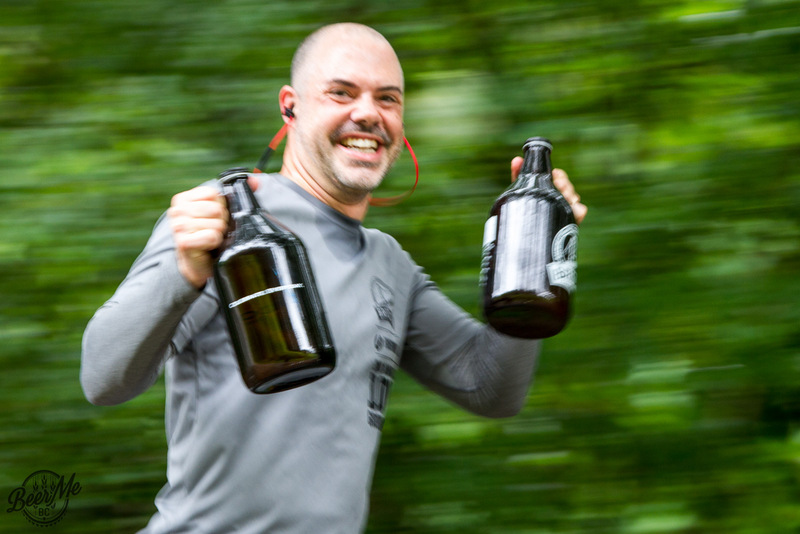 Growlers in hand, the racers made their way from the brewery up into Inter River Park, over a rather formidable climb and back towards a morning beer waiting for them at the finish line. 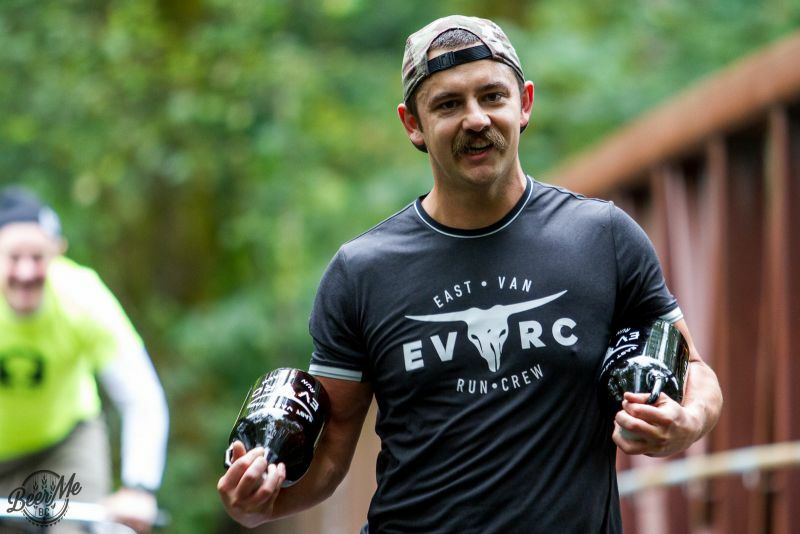 This race really is obscure, but is an absolute blast. 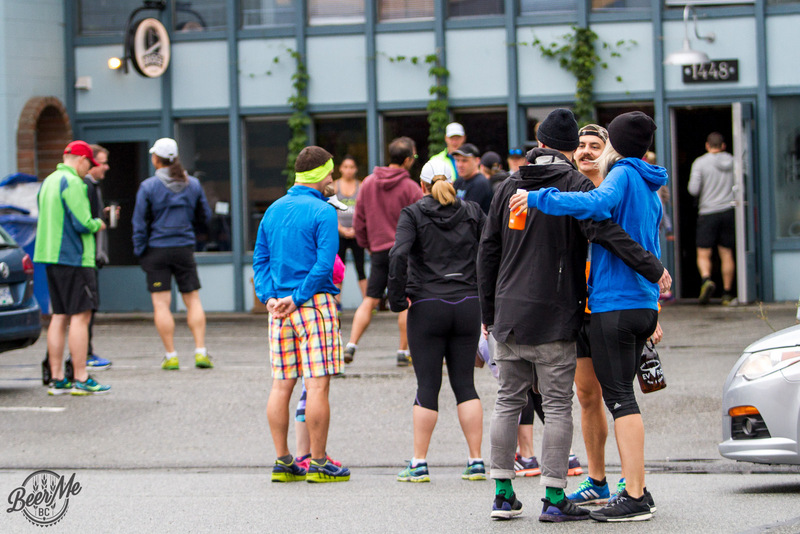 The smiles on the faces of participants tell the whole story while the victors sip a beer with shaking hands afterwards. 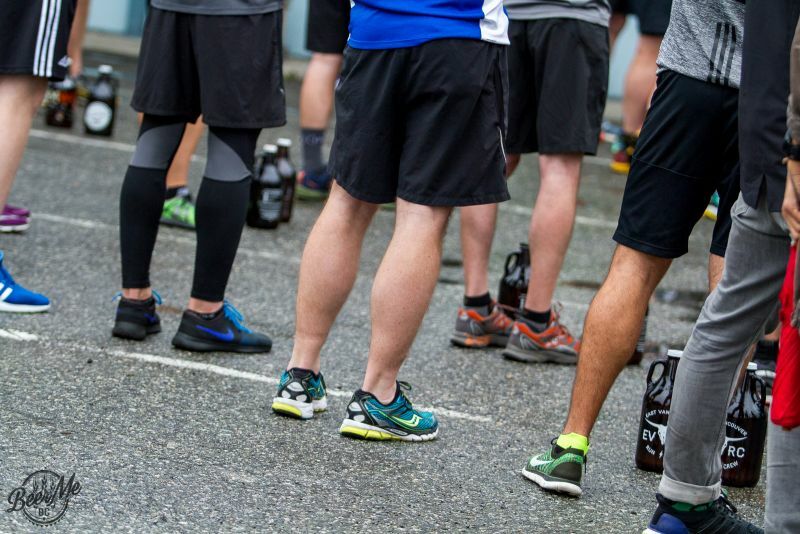 It is time to start training for the 5th annual event in 2017!